Online grocery retailer Ocado is the first UK supermarket to launch an app for Alexa. The new Ocado Alexa skill lets users add groceries to their existing shopping lists, check their orders before submitting and track their deliveries. The new Alexa skill does not let users create a new list – they can only add to an existing one. It also doesn’t let them place the actual order. But the designed use case here is to let Ocado customers easily add items to their shopping cart while their hands are busy in the kitchen – and to stay ahead of Amazon. Amazon’s recent acquisition of Whole Foods doesn’t have quite the impact in the UK as it does in the United States. There are only a handful of Whole Foods Markets in the UK and the AmazonFresh grocery delivery service is only available in London at this time. Amazon Prime members can order items through Alexa in the UK but that does not include everything a typical grocery store provides. 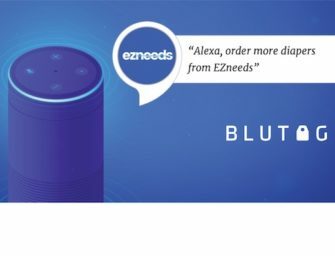 According to Ocada, their own research “has shown that many Ocado customers also want to use voice-controlled smart assistants for grocery shopping.” Ocada’s Alexa skill may not be an end-to-end complete voice shopping service, but it is one step closer to giving their customers what they want. And for now, one step ahead of Amazon.